The best thing about writing your own blog is that you get to choose who you write about and are not just restricted to new releases, so taking advantage of that fact here is a review of one of last years (2014) finest instrumental releases "All Black Rainbow Moon" by Les Lekin an album that made my top 25 releases for 2014 and is an album you should own! 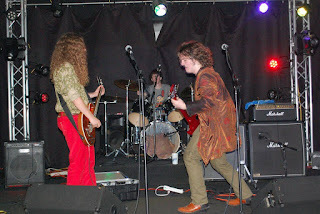 Let's start off with a very brief rundown of the band before getting into the nitty gritty of a review. 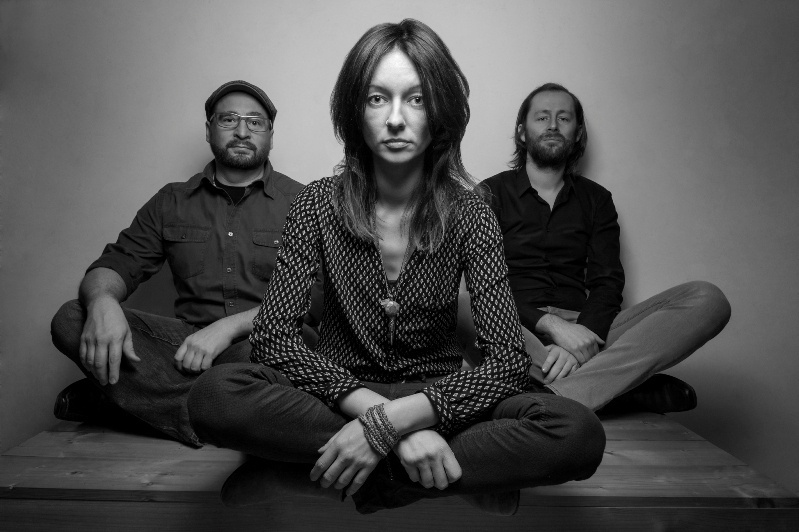 Les Lekin are a trio out of Salzburg, Austria who formed around 2011 and are made up of Peter G.(guitar), Stefan W.(bass) and Kerstin W. (drums). As you can probably guess by the use of a singular letter for their surnames this band like to play their cards very close to their chests, the fact that these guys are on all the important social sites and also have their own web site, finding anything more than rank and serial number about them is a virtual nightmare, then again it does give them a air of mystique.
. 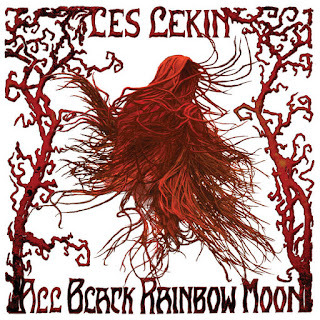 I won't go into an in depth track by track dissection of "All Black Rainbow Moon" except to say that this is an album that takes its listener on rollercoaster ride of highs and lows, lights and shades, exploding in a myriad of colours one minute then diving in to the darkest depths the next. The level of musicianship throughout the album is exceptional with Peter G ripping out finger burning solos, shimmering arpeggios and thunderous riffs from his humble six strings. Stefan W's bass playing is a thing of beauty and power, from chest quaking bass riffs that thunder and boom to fluid subtle lines that soothe and warm with their deep caress. 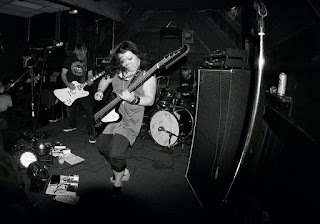 Kerstin W is not a tub thumper of any description she has a control and deftness of touch that not only supports the stringed musicians in front of her but drives the sound forward with her exemplary sticksmanship, going from heavy rock bombast to jazzy intricacy in the blink of an eye. 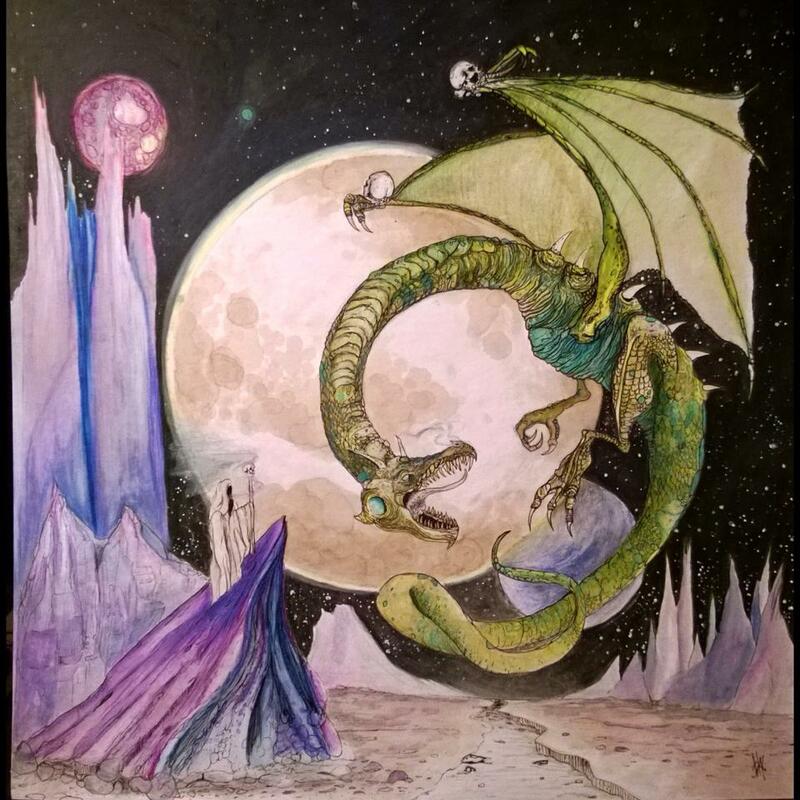 When it comes down to it, most of you stoners, doomers and psychonauts who are reading this blog will already have snapped this album up when it was first released last year but if you have not then I urge you to head over to Bandcamp NOW and buy the CD or download a digital copy you will not regret it! Mountainwolf are a trio out of Annapolis, MD, Chris Gipple (bass), Thomas Coster (drums) and Tyler Vaillant (guitar, vocals) and have just released their new album " Silk Road"
"Silk Road" blends together 70's heavy rock with 80's alt/grunge, throws in a little doom, a smattering of psych and whole lot of Mountainwolf to make this one of the best "rock" albums you will hear this year. The album kicks off with "The Jam" five minutes and four seconds of stoner excellence incorporating loud quiet loud grunge dynamics, gritty stoner riffage and moments of psychedelic subtlety..
Next track "Wine x Weed" utilises a dirty fuzzed up doomy riff around a low key, mournful vocal that then descends into spacey atmospherics with Vailllant using a ton of effects to create a lysergic, cosmic mood while Gipple and Coster hold it all together underneath until it all kicks off again at the end. "LSD" for me is the stand out track on the album with it's phased guitar riff repeating over and around a delicious vocal. Vaillant pulls out his best solo on the album here, slightly Iommi-esque and with plenty of bluesy feel. "Mountainwolf" sees the band nod their heads towards "Pearl Jam" with a track that would not have sounded out of place on that bands album "Ten" as would the next two "Freedom" and "Heroin 1991"
"Via Amorosa" is a nice little groover that goes from grungey doom into cosmic madness in the final third. 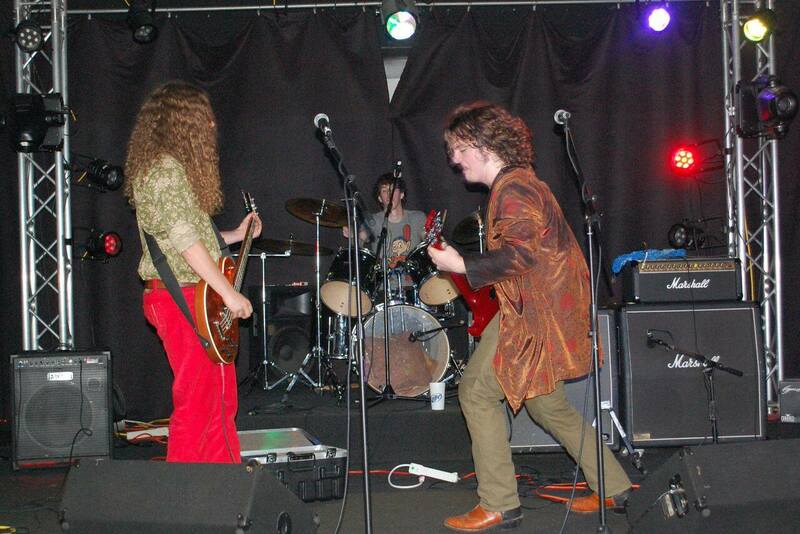 "Hyphy Blues" is an all out rocker with a totally infectious guitar lick that sits over the main riff. Closer "Via Dante" almost topples "LSD" for best track status, full of moody atmospheric psych and acid blues guitar pyrotechnics. I love it when a band are unafraid to fuse genres together and I especially love it when they manage to do so as seamlessly as Mountainwolf have done with their new album "Silk Road"
Book Of Wyrms - Ricmond's space metal quartet release three song demo. 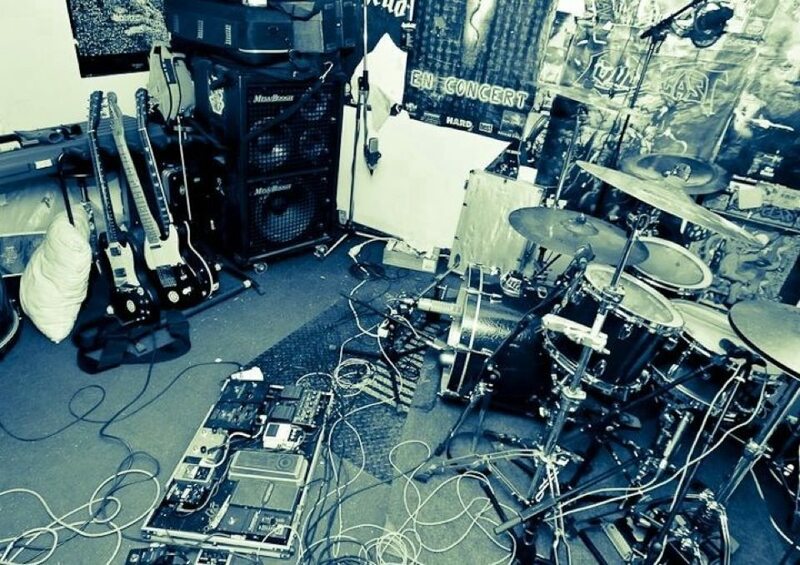 Being an avid follower of Bandcamp I’ve come to realise the importance of a good demo as a way of showcasing a bands talents and future potential. 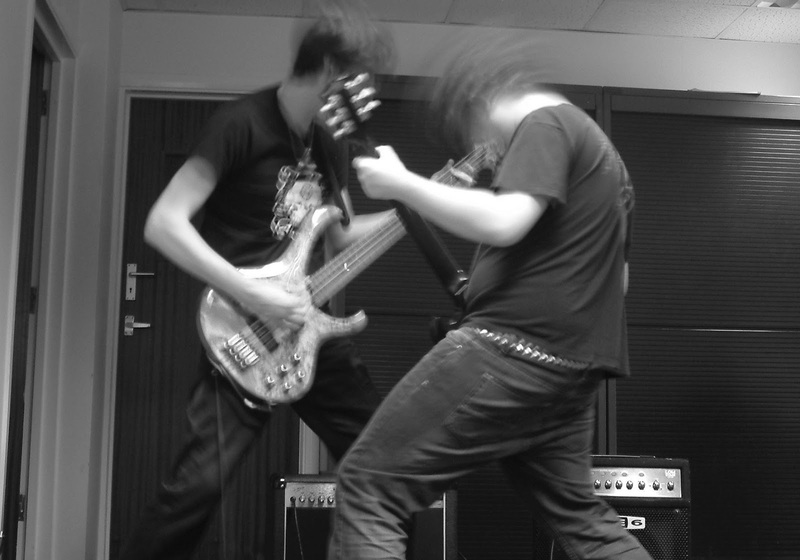 Many a time I’ve come across a band who although showing a ton of promise have just not put in the time on their demos and on occasions these demos have been almost unlistenable. This is not the case with Book of Wyrms. Remember this is a demo and when/if these guys get to make a full album these songs may be totally different or may disappear entirely but as a snapshot of a band who are at the beginning of their journey I highly recommend giving this a listen. 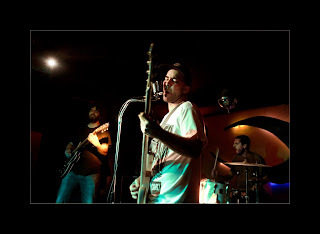 Rosy Finch are two women Elena García (Vocals/Bass guitar), Mireia Porto (Lead Vocals/Guitars) and one guy Lluís Mas (Drums) that play gritty hard/stoner rock flecked with elements of psych, grunge and sludge that in places borders on extreme but always manages to pull back from the edge before falling into chaos. This month the band released their debut "Witchboro" a concept album, of sorts, that depicts the sounds of a mythical village of the same name, whether this works as concepts go i'm not sure but this does not become an issue as the songs are strong enough to hold their own as individual pieces. 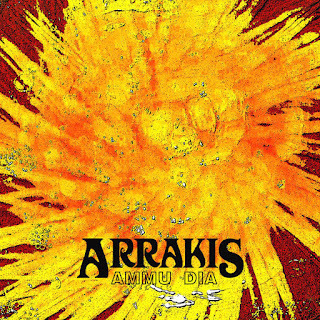 Arrakis ~ Greek Psychonauts Release Debut "Ammu Dia"
There is something going on in Greece, I don't know if there is something in the water over there but the country that gave us the foundations of modern civilised society sure seem to produce the goods when it comes to good "underground " rock. Arrakis are from Thessaloniki, Greece and were formed in 2012 with the sole intention of playing a form of rock music that would not be restricted to the blues based blueprints of American and English rock bands but would have a more European vibe with plenty of room for improvisation and freedom of expression. 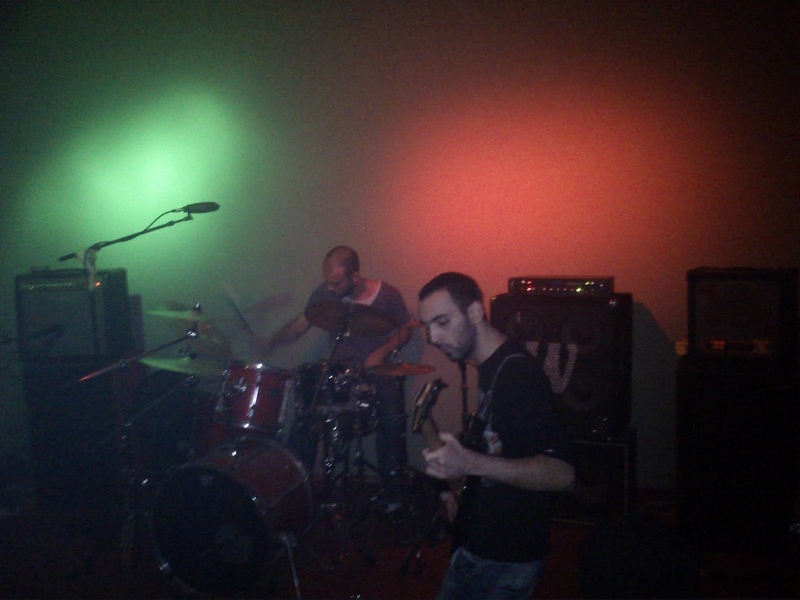 Comprising of three members Panagiotis Haris on guitar, Iraklis Dimitriadis on bass and Evaggelos Anastasiou on drums Arrakis have released a number of rough demos via Bandcamp and have recently released an EP "Sanatoriun" and a full album "Ammu Dia" both of which can also be found at Bandcamp. "Ammu Dia" is a stunning mix of instrumental stoner/desert grooviness and heavy psych/krautrock complexity that is a myriad of colour, texture and beauty .Heavy in places but never brutal " Ammu Dia" never sits still, never gets stuck in a rut and there is a feeling that this music could at any minute descend into chaos if it were not for the three musicians pulling on the reins and steering it back to safer ground. 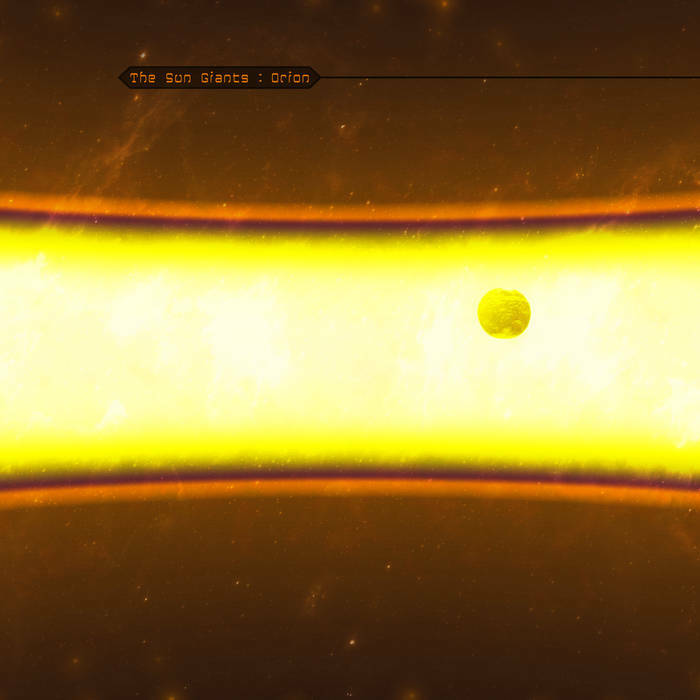 A perfect example to this is the closing 12+ minute "Diplomacy?" a slow burning psych wigout that has Panagiotis Haris' guitar teasing out wailing wah pedal solos, screeching feedback and glorious lysergic licks while Dimitriadis and Anastasiou keep it all grounded with their excellent rhythm work, never letting the music get away from them and pulling it all back to earth when it starts to get a little too cosmic, superb! 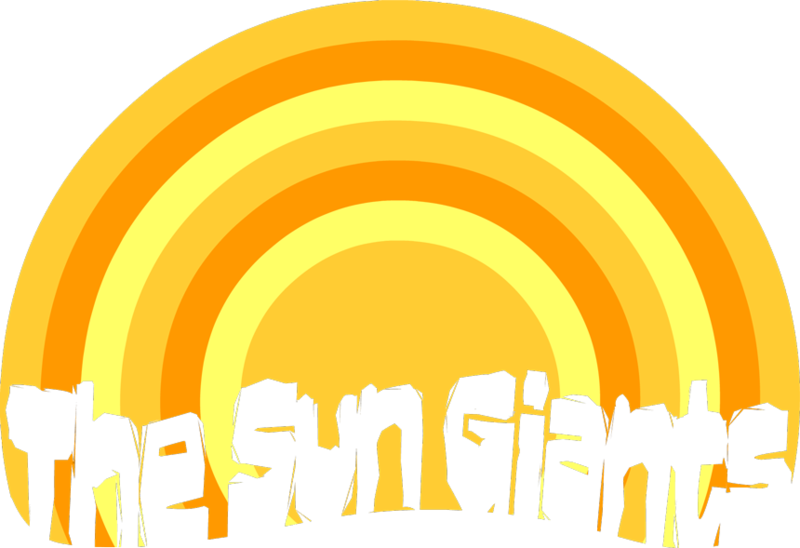 If you like your music experimental, exciting and with a certain amount of freedom and if Colour Haze, Sungrazer etc.rock your musical boat then check these guys out you will not be disappointed. Those of you out there who downloaded last years freebie EP "51973" from Spanish stoners Electric Valley will know that this bands music is a little more than just stoner by numbers, these guys are a little bit special. Mario Garcia-guitar and Miky Simon-bass and vocals and have been together for about a year, a pretty short time considering the fact they have already released one EP and just recently finished and released their debut album "Multiverse"
"Multiverse" is a stunning debut that takes the promise and raw creativity shown on "51973" and refines and polishes it in the form of eight new tunes of absolutely essential stoner excellence. Opener "Lizard Queen" sets the tone for the rest of the album with it's rocket engine intro leading into a salvo of drums, a delicious bass line and a glorious choppy guitar riff. This all opens the way for Miky Simons' vocal which has a gruff, smoky edge to it, not especially strong but with a soulful weariness that is a perfect fit for the bands sound. 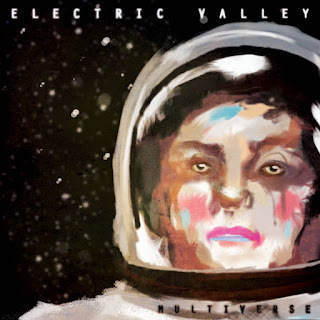 Electric Valley are a band who play intelligent, well crafted stoner rock with touch of Soundgarden grunge/alt intensity and in my humble opinion have just released one of the best "rock" albums so far this year. 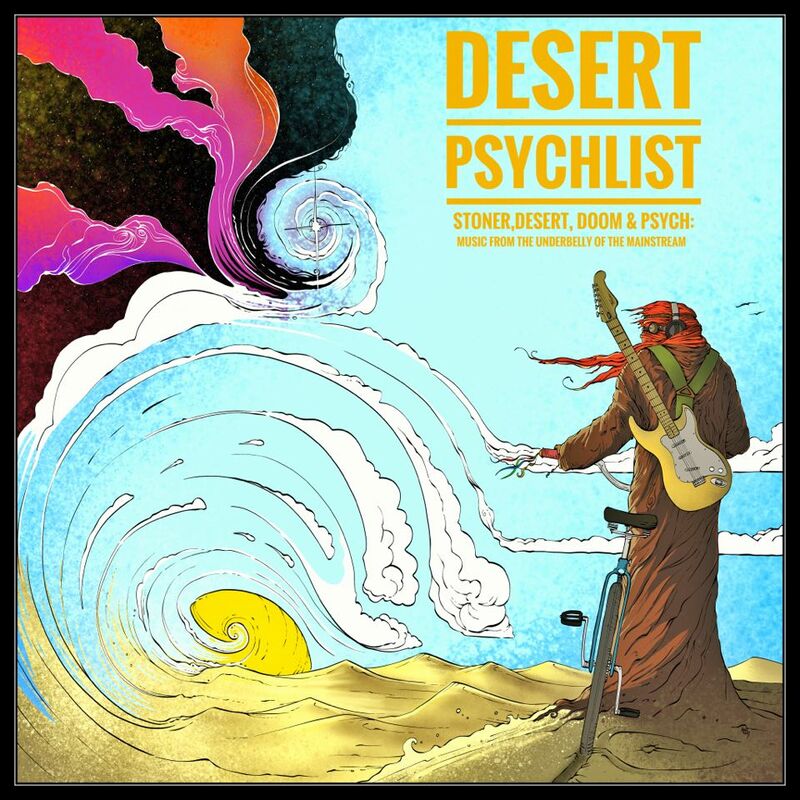 There’s a lot of stoner/desert bands out there who are experimenting with amalgamating a plethora of styles into their sonic cannons, adding some psych here a little doom there a touch of jazz, a little reggae and generally mixing it up. This is all great and can only be good for the scene as a whole but now and then I still get a yearning to hear some of that old school balls to the wall, fat juicy fuzzed up stoner/desert the way it sounded back in the day. Fusskalt deliver this in spades. 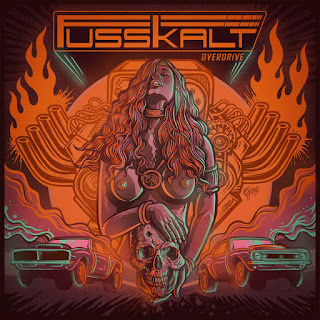 Fusskalt are from Aarhus, Denmark and consist of five dudes who take their lead from bands like Kyuss, Red Fang and Monster Magnet in other words they play stoner/hard rock with big chords, big riffs and truckloads of passion and attitude. 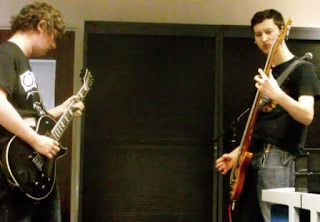 Guitars are handled by Nick Jenson and Thomas Brandt, Jenson laying down the grit and fuzz on rhythm and Brandt serving up delicious solos and licks over the top. 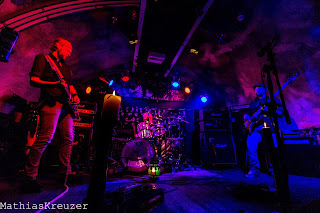 Beneath and below are the powerful engine room of Janus Kinke Pederson(bass) and Jonas Emil Nielson (drums) keeping it tight and solid as they drive the music forward. Vocals are handled by Lars Frederiksen whose gritty, slightly throaty roar fits the bands sound like a hand in a velvet glove, forceful and strong yet gruffly mellow when a songs dynamic calls for it. 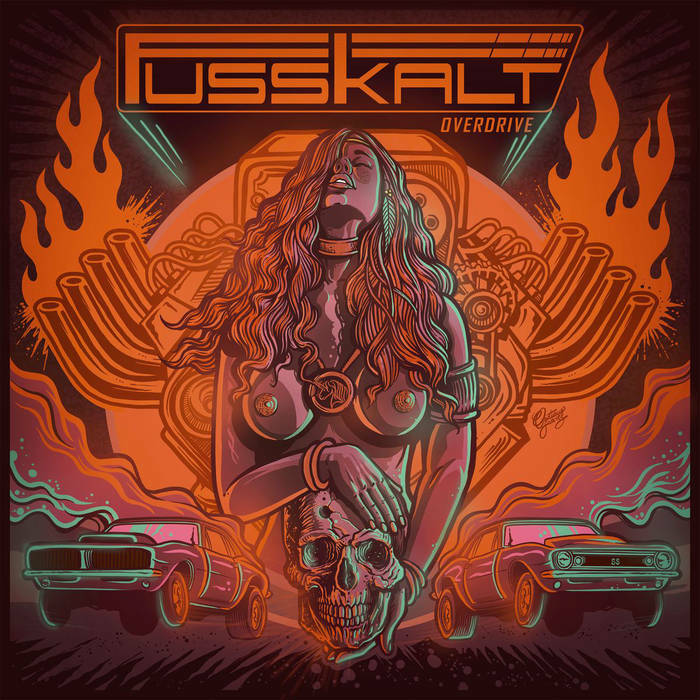 Fusskalt recently released their third recording “Overdrive” a thunderous collection of stoner anthems that showcases not only their musical chops but also shows they can write a good tune …or five. Tunes that are full of infectious hooks and melodies and that go to prove this is not just a band who are going to rely on a few riffs to see them through but a band who know how to construct a song from top to bottom and making it work on every level. It is not often I get to introduce a band who come from my part of the world and even rarer that the band ply their trade in the doom genre. 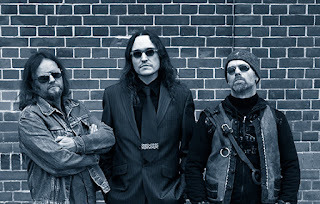 Myopic Empire are from Southend-on Sea in South Essex, UK an area better known for its connections with blues and blues-rock, spawning bands like Dr. Feelgood, The Kursall Flyers and both guitarist Robin Trower and Procul Harem vocalist Gary Brooker, among others. Made up of two guys, Dean Derron and Tom (no last name given) , who play guitars and basses, and aided by various bits and bobs of technology Myopic Empire create a doom sound that is very bottom heavy and very infectious. 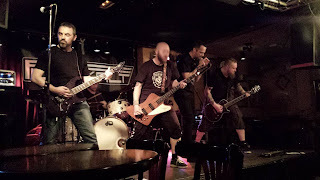 Vocals are handled by Derron and are clean, rugged and in places call to mind the desert grittiness of John Garcia, albeit with a South Essex accent, and are a perfect foil to the six string mayhem circling around them. To date Myopic Empire have released two EP’s Myopeia (2013) and Doom (2015) both of which blend rumbling doom with elements of stoner metal distortion and Kyuss type heavy desert fuzz and I would recommend both of them to anyone who likes their doom a little sandy. Blood Cauldron is an EP you need to own, an EP that promises so much for the future and an EP that actually blew a speaker on my PC. To be honest I think the speaker was on its way out anyway but never mind this is still a super EP. 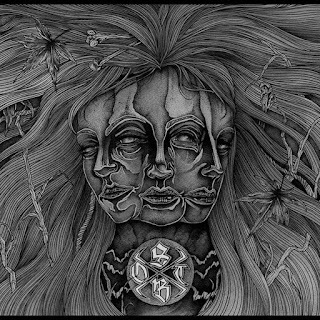 The band who created this superb EP go by the name of Sisters Ov The Blackmoon and play a blend of gritty bluesy stoner and occult doom-ish rock. 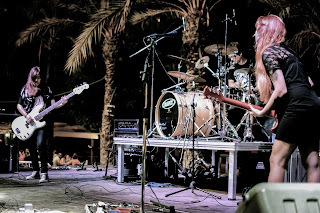 Exploding out of Los Angeles the band consist of Josh Alves – drums, Andrew Vega – guitar, Dan Schlaich – guitar and Jared Anderson – bass but it is the powerful bluesy tones of Sasha Wheatcroft on vocals that sets this band apart from others ploughing a similar musical furrow. Blood Cauldron sets the tone for the EP with “Haunt”a barnstormer of a track that opens with the sound of cicadas chirping and an owl hooting and segues into a rolling guitar riff with a horror movie soundbite over its top, then the guitars pick up the volume, drums crash and pound just as it gets gnarly everything drops down for the verse. Here is where you first get the “Wheatcroft” experience. 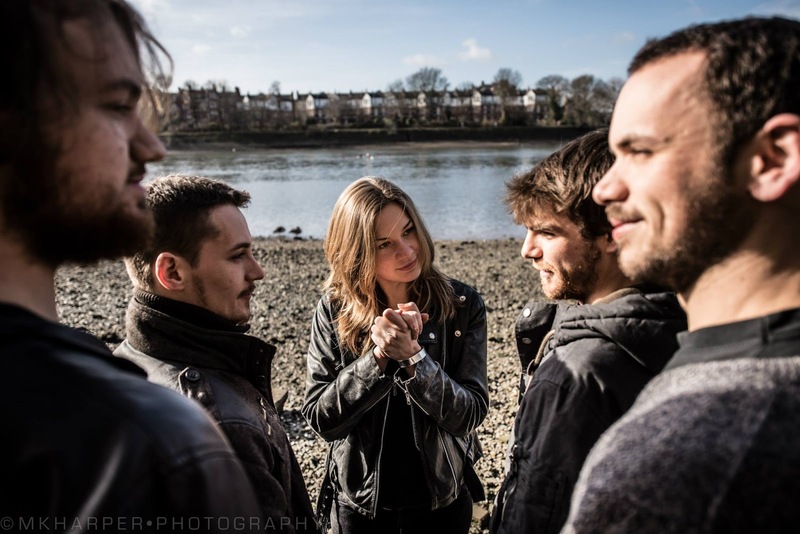 With a voice that mixes Beth Hart’s bluesy holler with Miny Parsonz’ (Royal Thunder) smokey stoner howl, Ms. Wheatcroft is a revelation, her voice dripping with passionate power and control making every phrase and inflection count. One person does not make a band though and the other “sisters” more than prove their worth on this collection of songs. 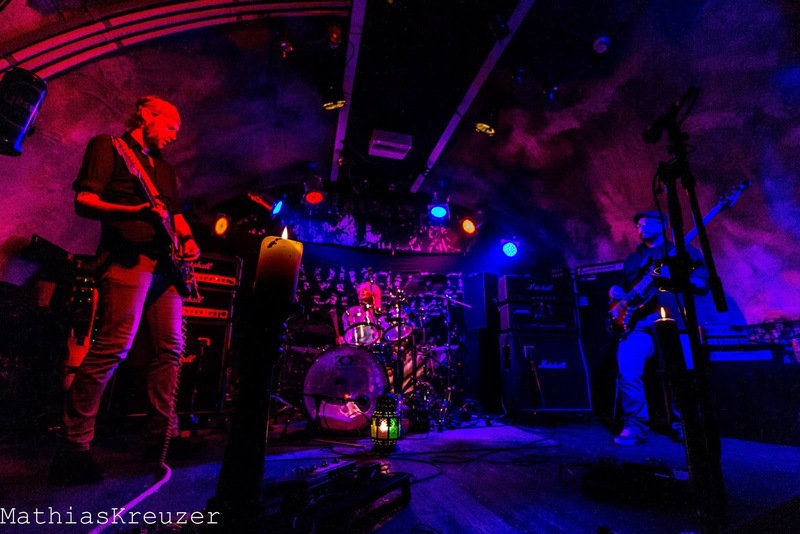 Vega and Sclaich complement each other perfectly on guitars coming on with earth shattering riffage and sublime solos and every now and then breaking into Lizzy-esqe twin melodies. The bottom end is held up just as well too with Alves and Anderson locking in as tight as Scotsman’s purse and creating a solid base for everything going on above them. This EP shows a band on fire and I for one cannot wait for a full album. 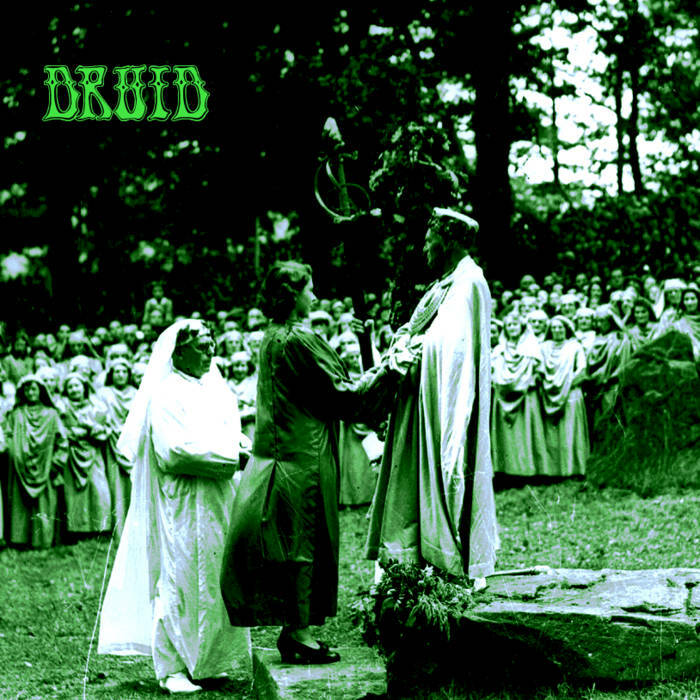 One of the reasons why I joined Bandcamp and why also I started this blog was to find and write about bands like Druid and to let others know about them because music this good should not be allowed to fade away into obscurity. 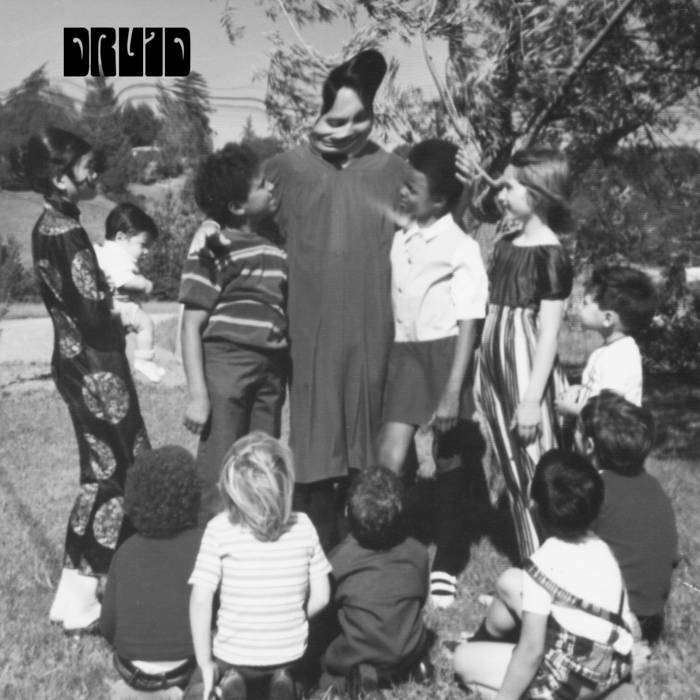 Druid are from Athens .Ohio and got together in 2014 and for a band who have only been together for roughly a year they should not be this good….but they are. 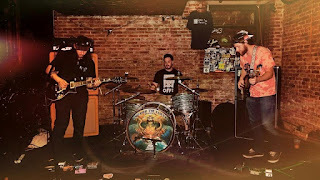 Consisting of Kaleb Shaffner: Guitar, Vocals, Max Schmitz: Bass, Vocals and recent addition Adam Mayhall on Drums ( original drummer Lous Eyerman plays on both "Druid" and "Paper Squares") Druid take elements of 70’s proto –metal and blend it with 00’s stoner and doom and throwing a little blues and psych in. just to make things interesting. 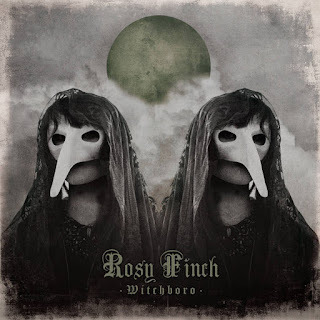 In March this year (2015) they released their self- titled debut album, an absolutely stunning set of tunes that I called “a fantastic album” in my review on Bandcamp. 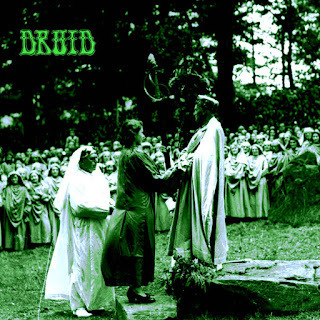 Full to the brim with great tunes and great playing Druid also paid tribute to their influences by tagging the “Luke’s Wall” riff from Sabbath’s “ War Pigs” on to their song “Mushroom Fields”. A bold move but it worked a treat. The biggest nod to their heroes though is on the opening track “Roots and Beings” whose intro welds Hendrix’s “Voodoo Chile” to Status Quo’s “Pictures of Matchstick Men” Having said all that do not be fooled into thinking these guys are just a bunch of plagiarists and pirates, when it comes to writing good tunes these guys are very good. Take for instance “Rid This From My Eyes” a stunning song that starts off with a filthy bass intro before blowing the roof off when it goes into the oh so proto riff. 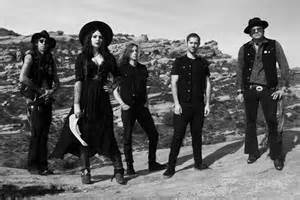 They can even lay it out as on “No Good Man” with its Lynyrd Skynyrd meets Grand Funk vibe. Vocals are shared between Kaleb and Max and both are fine singers and both bring something good to the table individually but when they harmonise it sends shivers down the spine. Special mention has to go to the sterling production work of Greg Omella who manages to capture that organic 70's sound that prevails throughout the album, he also plays rhythm guitar on the album and sings lead on both " No Good Man" and "Roots and Beings". 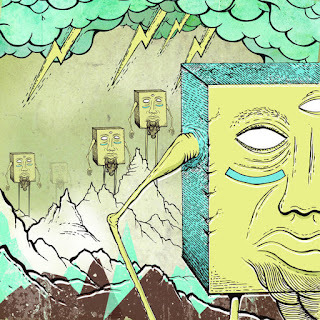 Today (03 June 2015) saw the band release a three song EP “Paper Squares” which highlights the heavier side to their sound with two original tunes and a cover of Sleep’s “Sonic Titan”. 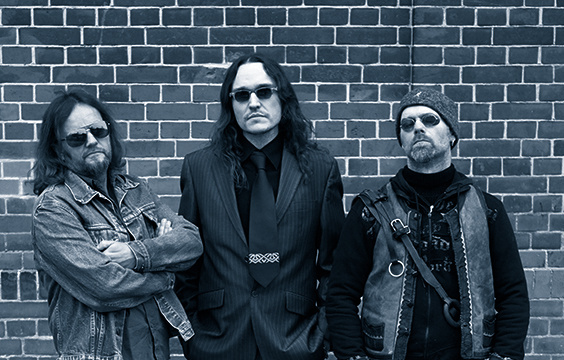 The two self- penned songs “Altarsong” and “Paper Squares” are powerhouse displays of proto-metal/acid rock madness that evoke memories of Blue Cheer and The JPT Scare Band, full of scorching guitar solo’s and heavy bluesy riffs. 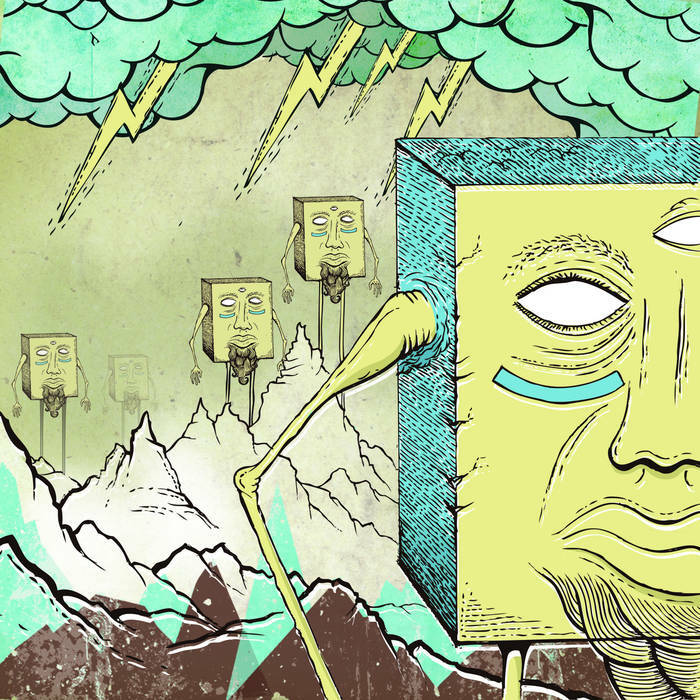 The cover of “Sonic Titan” shows these guys can do stoner doom and do it well. I really hope this band manage to climb the hurdles that road weariness, ego’s, music business politics etc. will inevitably throw in front of them, and stick together as I would love to see how this band progress. 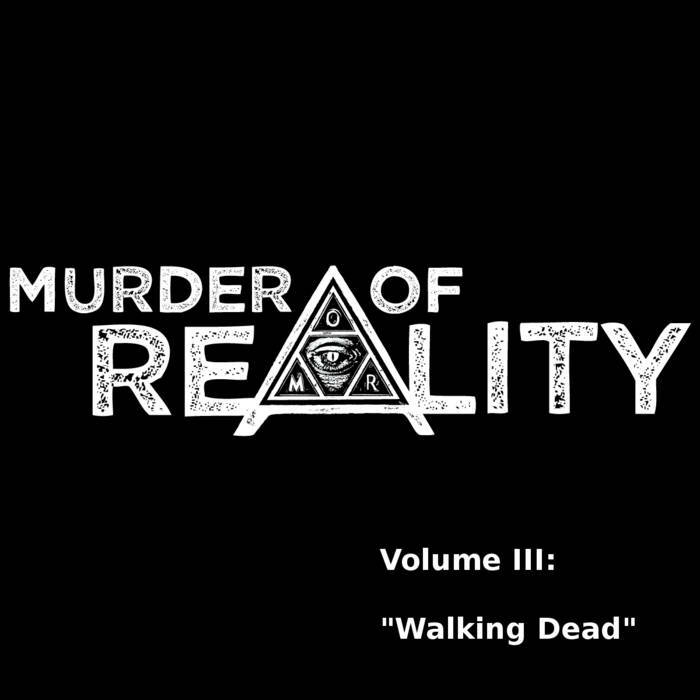 Hamburg's Murder of Reality return with their third and best EP to date. Musically "Walking Dead" owes a large debt to Heaven & Hells "The Devil You Know" album it has that same more mature, darker riffage that Iommi employed at that time. Vocally though Captain Creek is his own man powerful, clear and with just the right amount of epic doom phrasing mixed in with a little grit in the upper register. The first track "Walking Dead" is a brooding mid tempo doomy observation on the futility of people marching to the beat of large corporations, following a path mapped out for us and excepting our lot in life. It is this track that highlights that Heaven & Hell comparison with it's deep rumbling bass line leading the way before the guitar explodes into the main riff then collapses back down for the verse. The vocal for this song is just sublime, Captain Creek just nails the balance of frustration, anger and menace that the lyrics call for. 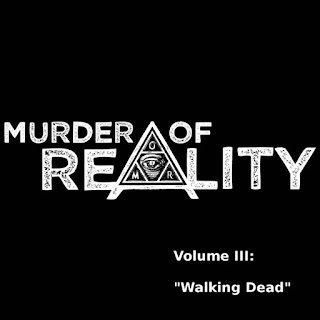 This has got to be my favourite Murder of Reality song to date. 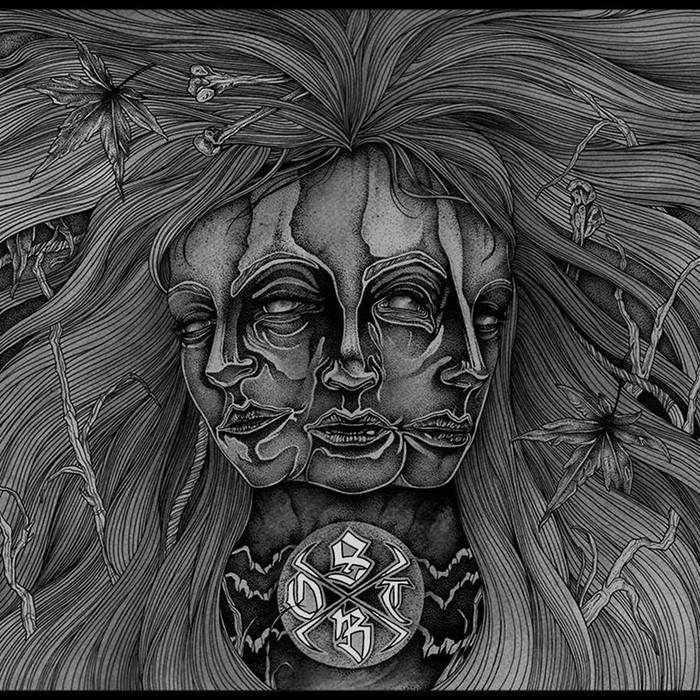 Track two "Pineal Variations" lyrically reminds me a little of Sabbath's" Into The Void"
where that comparison ends. 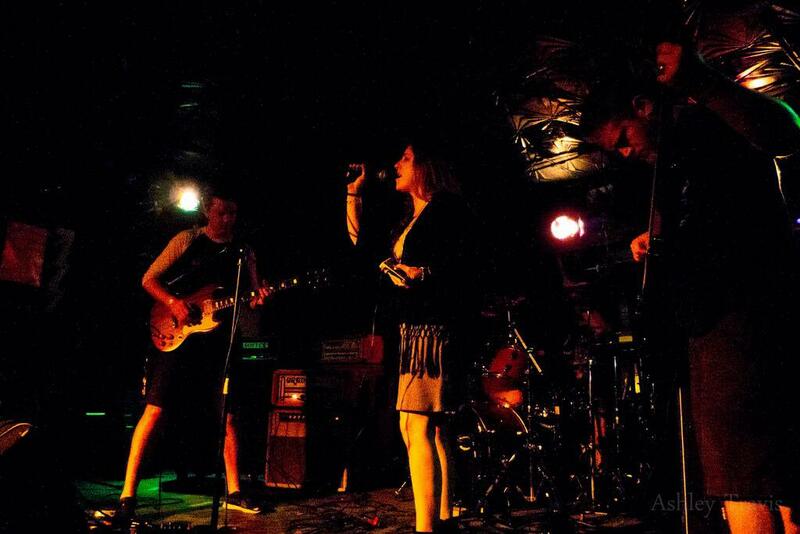 "Variations" employs a superb stuttering riff backed up by some tight solid drumming that I defy you not to nod along to. For the first time on this record Captain Creek sounds a little Ozzy-ish with his delivery albeit with a little more grit. There is a great use of soundbites in the final third of this tune, a trend often overused in rock music but it works perfectly here. 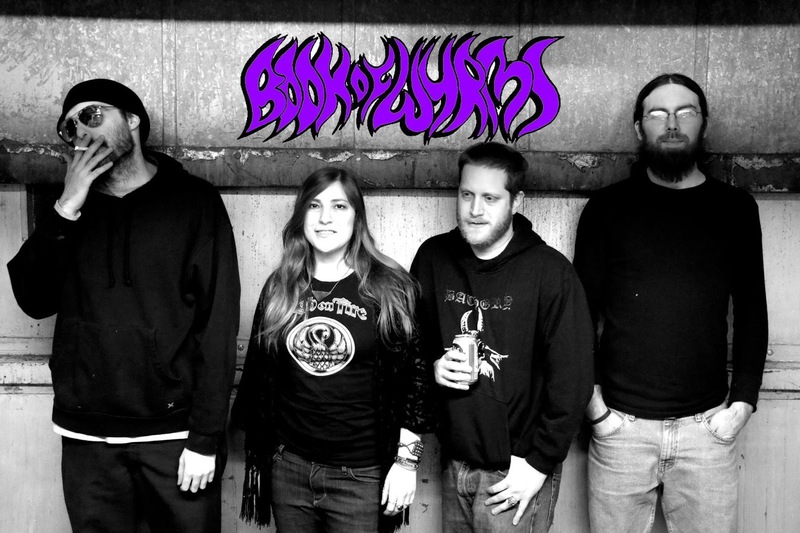 Abyss the third and final track rounds things of nicely with a stoner paced groove and a slight nwobhm vibe. Captain Creek goes all out on the vocal here, never letting up and Adam Lake rips off a stunning Iommi-esque solo while all the time Jôrn Dackow on drums keeps everything grounded with exceptional timing and skill. 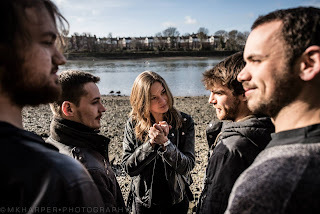 Limb To Limb have released their second EP “For Machines” a five track celebration of all things classic/hard rock that again highlights the truly wonderful golden pipes of vocalist Charlotta Ekebergh whose strong clean bluesy tones take the bands sound to whole new level. 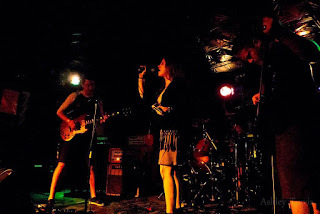 Don't think that this band are a one woman show though as the rest of the guys are no slouches either serving up delicious slabs of groove laden rock that is slick, classy but with enough grit to please any stoners or doomers who might be thinking of checking these guys out. The twin guitars of Vinnie Holmes and Nicos Christodoulou rip chords and solo’s that both burn and smoulder while Massimo Tortella (bass) and Ben Nicoll (drums) create a bedrock of rhythms that'll have you leaping around like a kangaroo with a wasp in it's pouch. 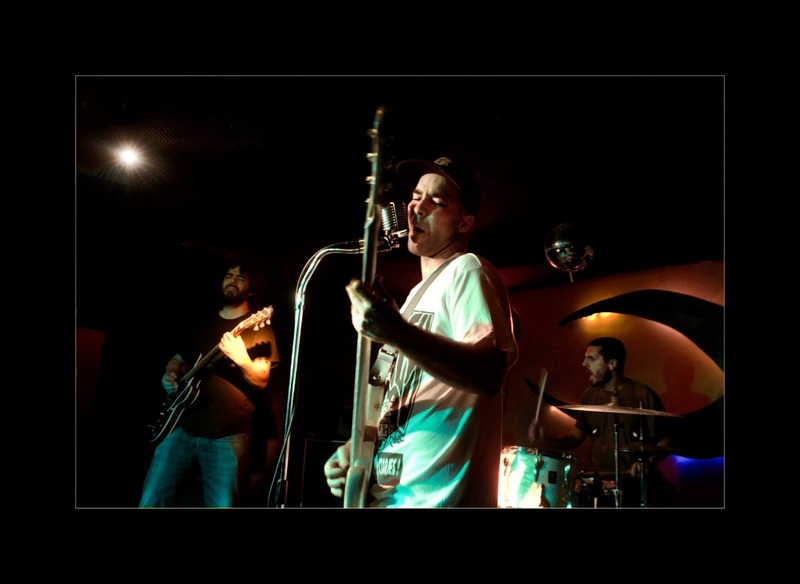 ElCam ~ French Instrumental Duo Release New Album! Rock duo’s seem to be ten a penny now days, and I suppose it makes a lot of sense really, less equipment to haul around more room in the van while on tour and an even split when it comes to getting paid. In ElCam’s case, being an instrumental band, there is also no having to deal with a singer’s enormous ego!.... Win,win. ElCam are from Sains-en-Gohelle in the Nord-Pas-de-Calais region of France and to anyone who is familiar with their 2013 album “Orchard” will know that these guys play hard fuzz pedal driven instrumental stoner rock that belies the fact that the noise you are hearing comes from just two guys, Aurel on drums and Jey on guitar. The guys have just released their new album “Shaft”, via Bandcamp, a collection of six of the most fuzzilicious, spine tingling jams you’re likely to hear from two men this side of Christmas. Don’t make the mistake of lumping these guys in with the likes of the White Stripes or the Black Keys, oh no, aside from having no colour associated with their name these guys are more like a two man Karma to Burn than Jack or Dan’s outfits, just listen to the opening track “Life in the Ruts” to confirm that fact. Killer stuff!!!! !